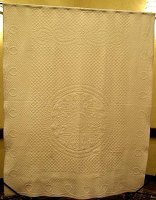 "When I was asked to be President Elect, the first thing I thought of was the raffle quilt. 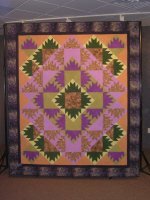 I have admired all of the raffle quilts through the years and was a little intimidated by the prospect. 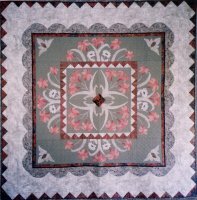 I am a traditional quilter for the most part. 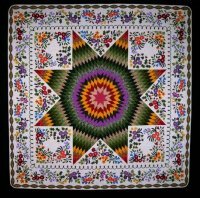 I appreciate all the art quilts and modern quilts but my heart lies with traditional quilts. 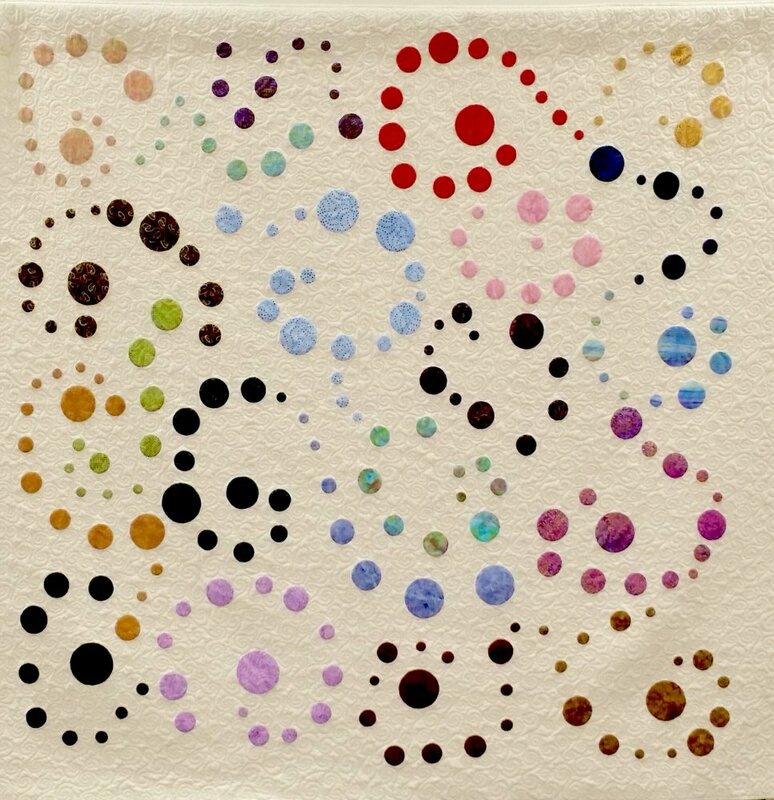 "The first pattern I thought of was by one of my favorite designers, Edyta Sitar. I called her and she graciously granted me permission to use it for this quilt. OK, step one done. "Now on to choosing fabric. My trusty quilty friends and I were on a shop hop so they helped me choose fabric. Step 2 done. 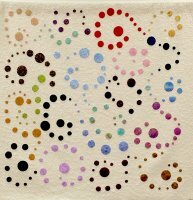 "As this pattern called for appliqué, not my strong suit, (OK needle turn isn’t even in my deck!) 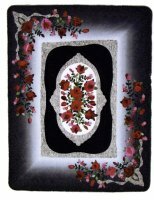 I asked someone who is a wonderful appliquer, Linda Winter. She started on it right away. Step 3 done. 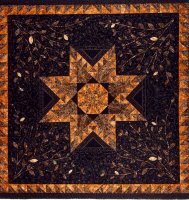 "I was thinking about how difficult it is to have several people piece and then try to put it together, so I did the piecing and it was fun! Step 4 done. 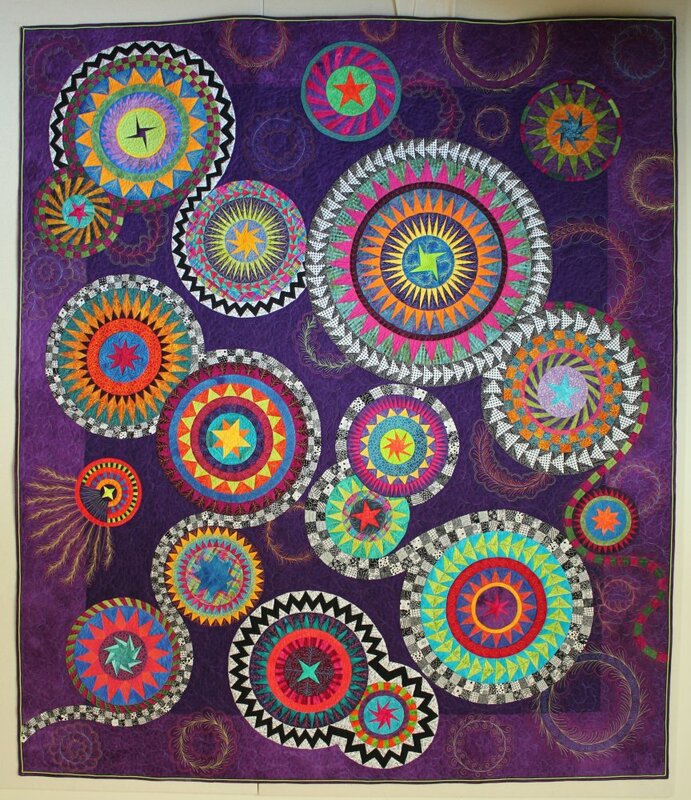 "I have long admired Kris Vierra’s quilting so choosing her to quilt, it was easy. Step 5 done. "So next was finding a quilt mom. Sandy Dahlgren said yes (thankfully!) Step 6 is done. "So step 7 now needs to be done, selling raffle tickets. This is a lot like sending your firstborn to kindergarten, will he do well, will others like him, isn’t he cute! (Well I thought so! ), how does he look, is his hair all in place? "So now with a deep breath…….. I give you….Nebraska Prairie Wedding." 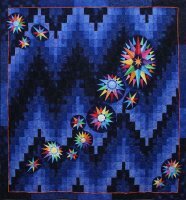 **2018** **"Nebraska’s Bright Stars"** was designed by Jan Sears, Kimball, NE; Sharon Cripps, Whitney, NE; and Cindy Scheinost, Scottsbluff, NE. 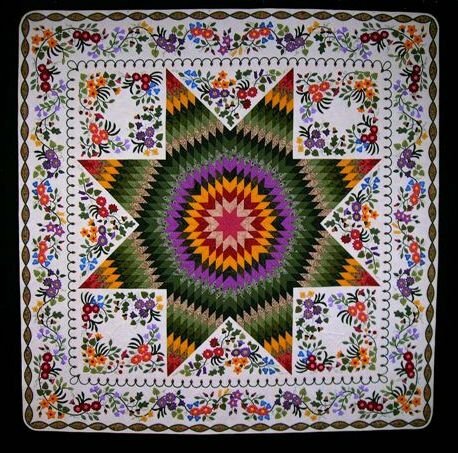 It was pieced and beaded by Jan Sears and Sharon Cripps. 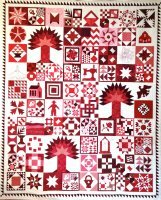 It was quilted by Whitney Tewahade, Ta-da Quilt Shop, Chadron, NE. 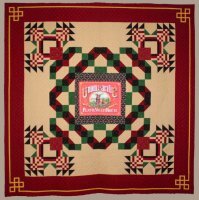 **2017** **"Scarlet Sampler"** was designed and made by Diane Harris, Keri Wheeler, Debra Bauerle, Jan Wilson and Glenda Herz. 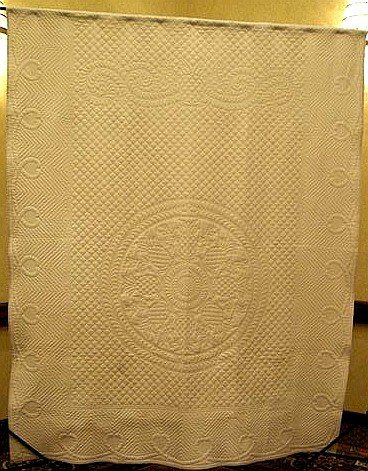 It was quilted by Kris Vierra. **2016** **"Circles of Fun"** was designed and constructed by Marty Kleppinger and Connie Olson. Janet Kugler was the advisor. 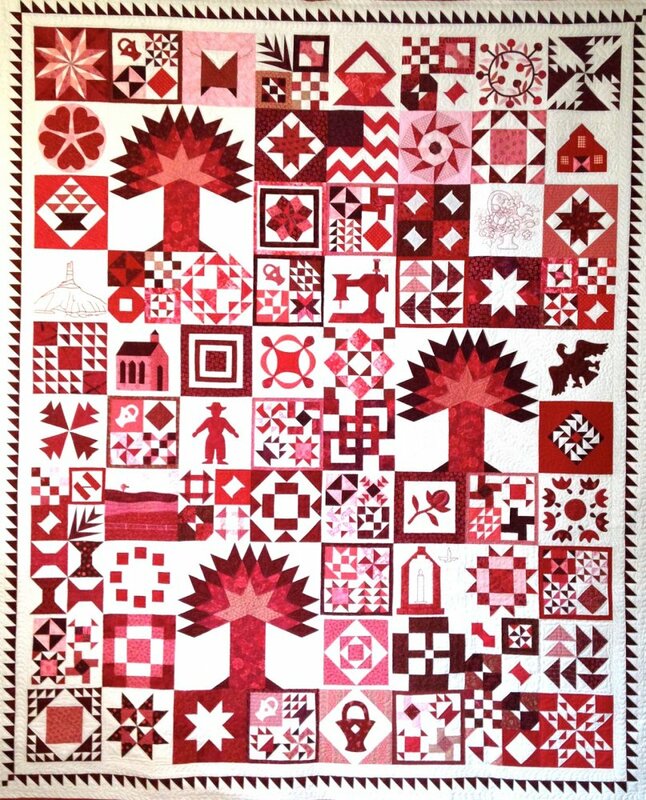 The quilt was machine quilted by Rich O'Hare. 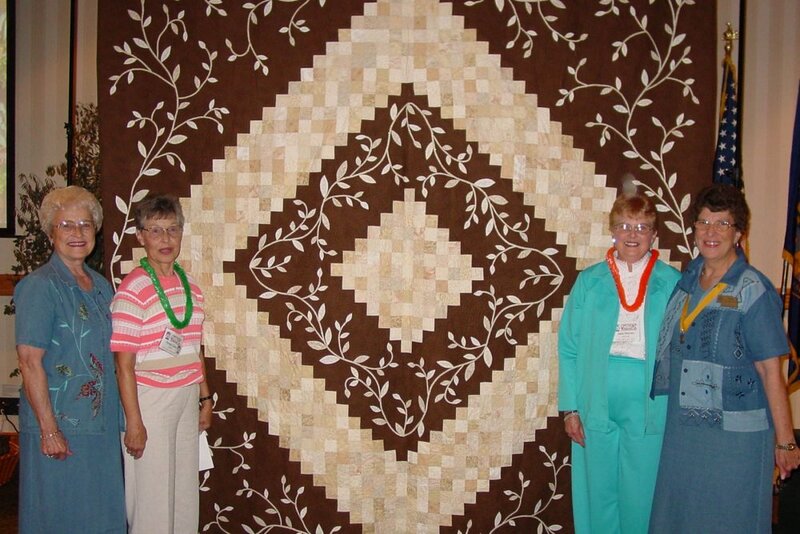 **2015** **"Shimmering Stars"** was designed and constructed by Marie Clark, Gloria Miller and Joan Waldman. 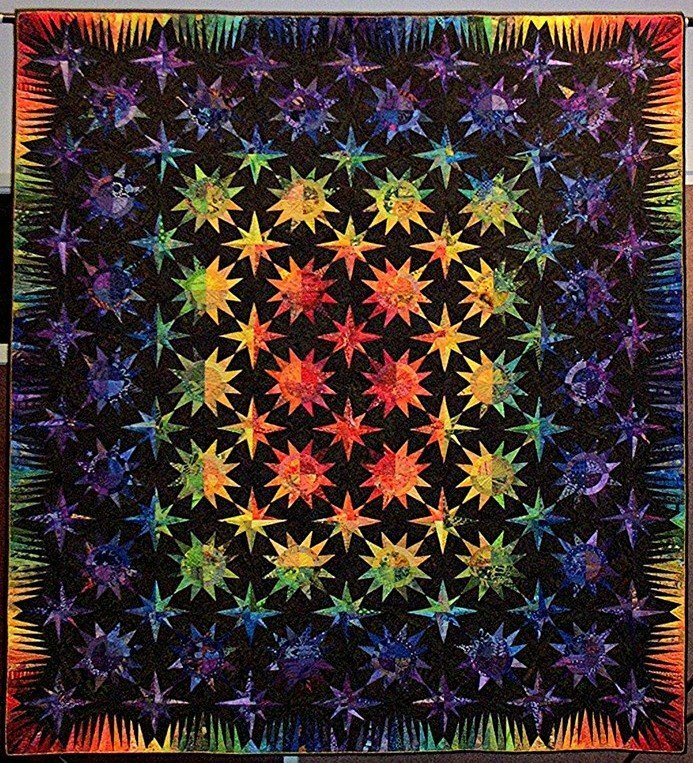 Quilting was done by Kris Vierra. **2014** **"Ride the Rails"** was made by Katie Wilson, Elaine Koenig, Mary Weich, Kaye Petta and Stephanie Stuckrath. 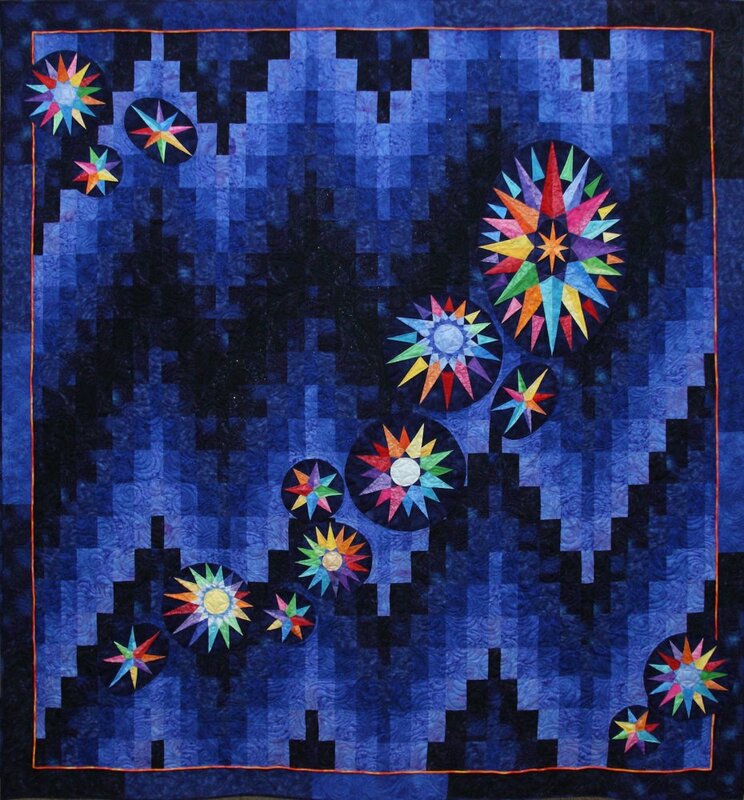 **2013** **“COSMOS”** was designed by Karen and Sheri Ruwe and quilted by Peg Pennell. 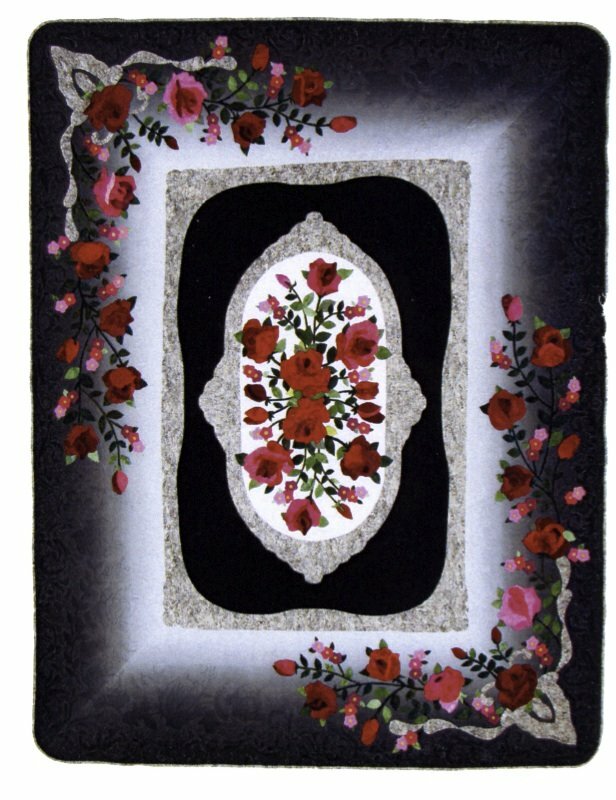 **2012** **“Magic of the Rose”** by Marie Clark and her Committee of Gloria Miller, Joan Waldman and Sandra Kosch. 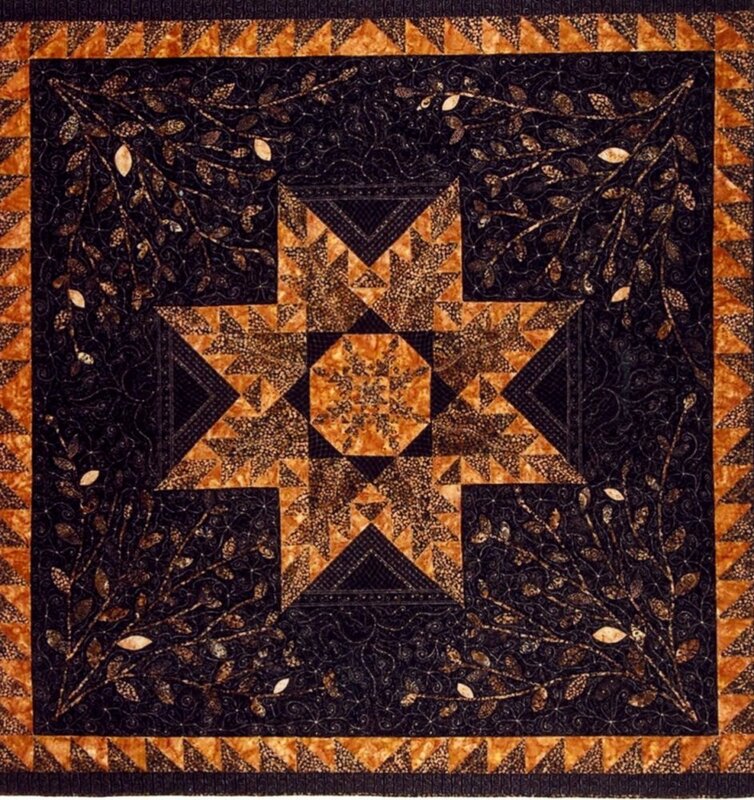 Quilting by Kris Viera. **2011** **“Stars Across Nebraska ... and beyond”** was made by Jan Stehlik and Bonnie Kucera. 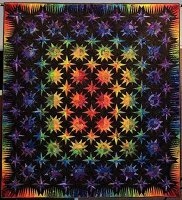 Rich O’Hare from the Cosmic Cow did the machine quilting. 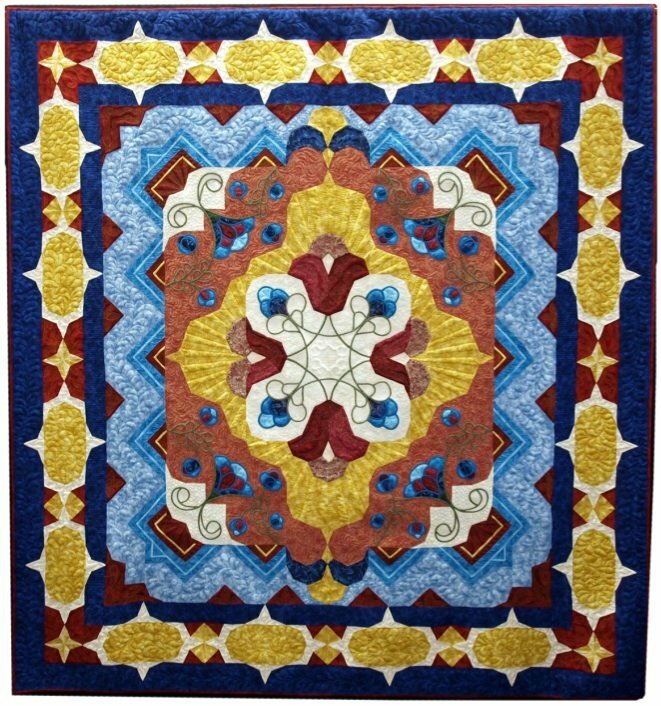 **2010** **“Arabesque”** was made by Mary Sue Suit and Judy Woodworth. 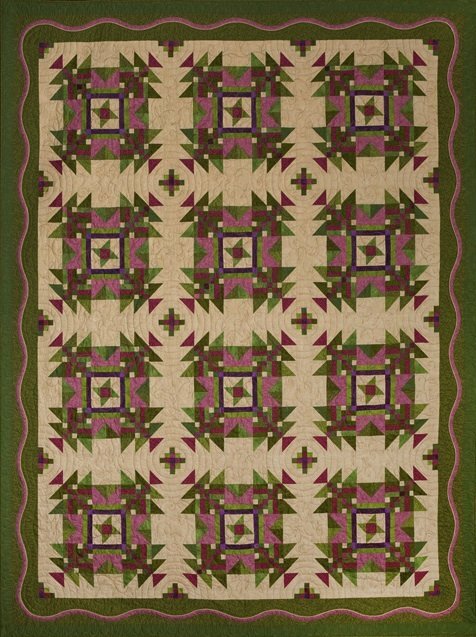 **2009** **“Pine Ridge Points”** was made by Peggy Bruns, with some assistance from Linda Maloley. 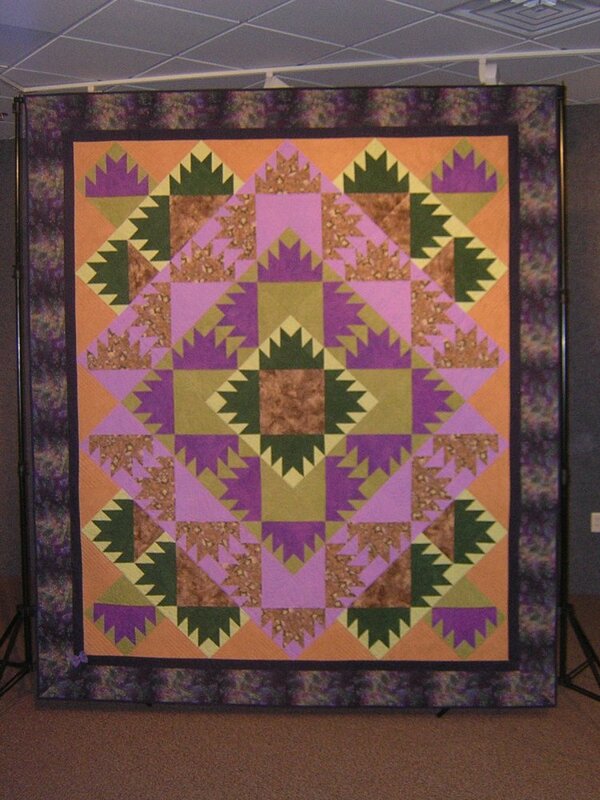 **2008** "Pineapple Delight" was hand-quilted by Bea Bauerle. **2007** **"Nebraska's Rising Sun"** was made by Sandi McMillan and Laura Franchini. 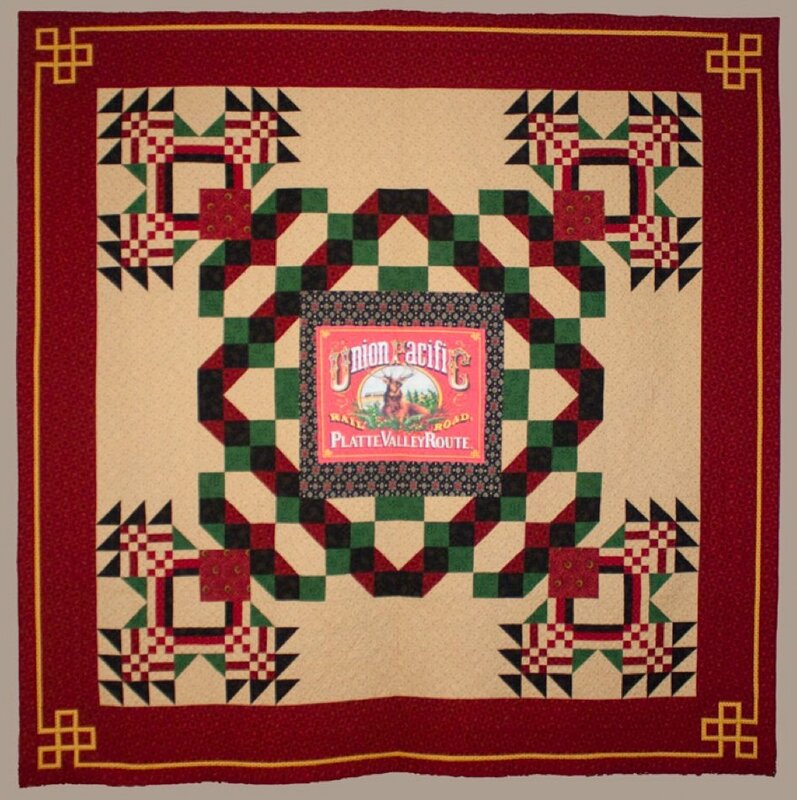 **2006** **"Early Frost on the Prairie"** was designed by Eileen Peterson and pieced and hand appliquéd by Marilyn Ellner, Marilyn Lingg, Eileen Peterson and Linda Winter. 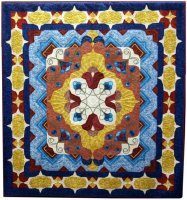 Machine quilting was by Eileen Peterson. 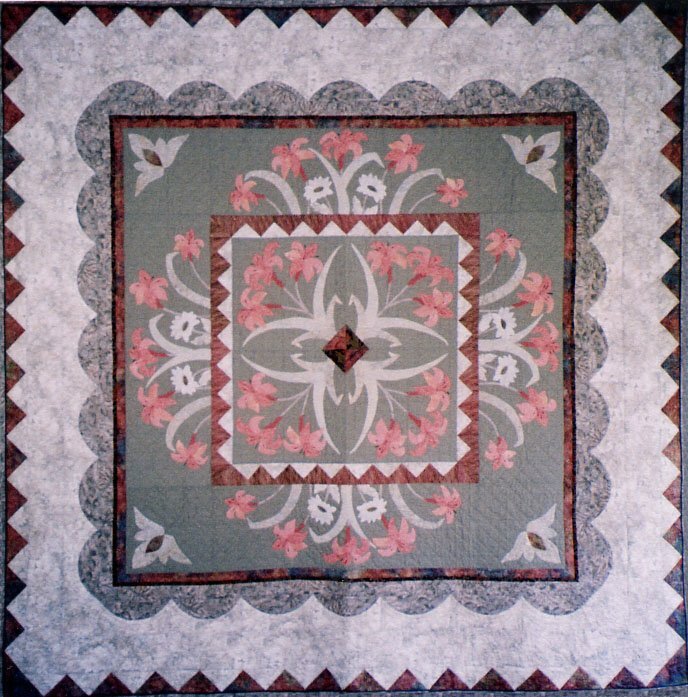 **2005** **"In Full Bloom"** was designed by Paulette Peters and made by the Friends-All-Around quilt group. 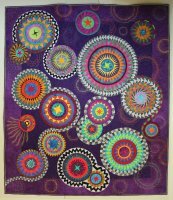 **2004** **"Hot Lava"** was made by Peg Pennell and Dianne Thomas.